Going out on a limb here and assuming you have craft stuff that you haven't used in a while. See? -- there are still things upon which we can all agree! In my case, I've had this Essentials by Ellen Bed of Roses die plate since it first came out. And there it sat, virtually untouched. Used it last week here and decided that I really love this plate. 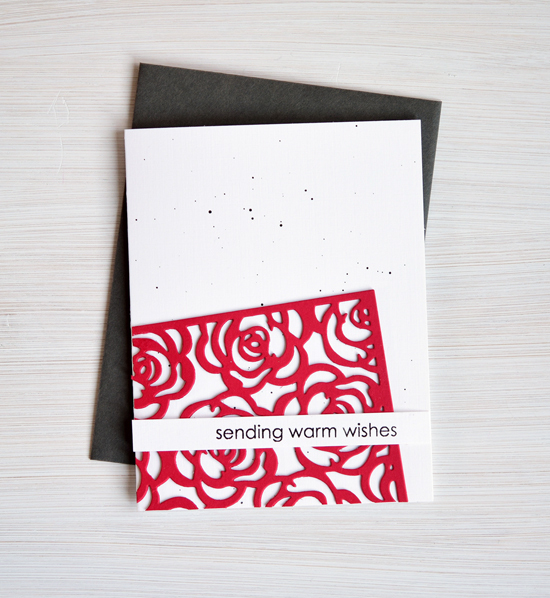 For the first one, I was inspired by this card by Katherine Shudrova. Katherine is a fantastic stamper and I love everything she makes. The sentiment is from an OLD Hero Arts messages set. Hero makes a few of these assorted messages sets every year, and they are well worth the investment. Used some black gouache paint to add a few speckles on the background. I like this red card a lot. The flowers go with the sentiment. However, while I like the look of the second card, something is off. The circle of roses really doesn't connect with bravery. On the other hand, the yellow roses are beautiful. Whatever. I am sending it to someone who is going through a struggle and that's what really counts. 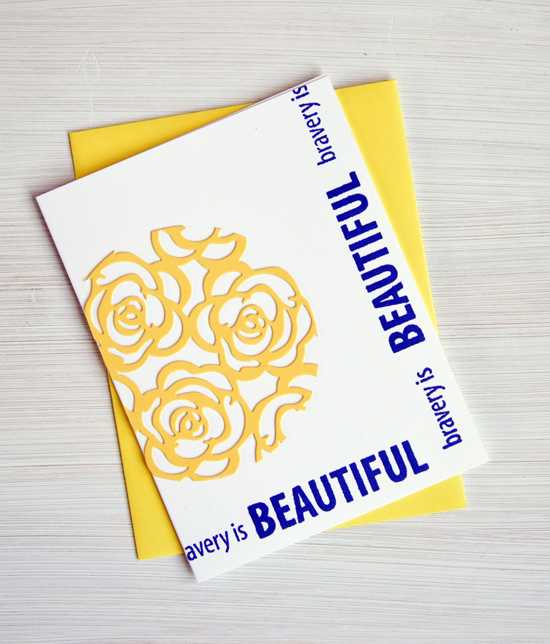 For this card, I die cut the roses in yellow and then die cut again with a circle die. Added a sentiment from Concord & 9th's Beautiful Words in Altenew's Sapphire ink. Hope your week is fantastic. And if it isn't fantastic, be brave! MOOD WHEN DONE = I've got no complaints over here. Gorgeous! :) I hope you'll enter that first card over at A Blog Named Hero! It's perfect for our new challenge that just launched this morning! ;) It's like you read our minds! Now you've got me wondering what I have that I might do this with. Both cards are very cool and inspiring ideas, and both are favorite colors of mine. I like the splatters on the first card, too. I never think to splatter my white cards. Beautiful, Joan--I loved the layout of that Red and Black one especially!